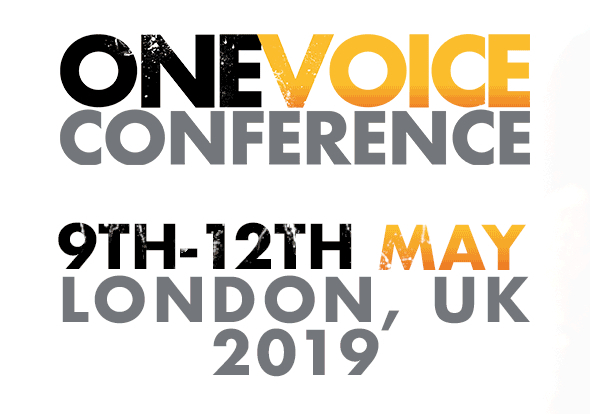 The One Voice Conference is the only voice acting event you’ll ever need to attend, aimed at all levels of Voiceover Professional; from Beginner to Expert – absolutely everyone is catered for! One Voice provides you with talks, workshops and one-on-one assessments that will make you a better voiceover. You can learn and practice skills that will help your voiceover career, while our exciting social events give you a chance to network with the best the industry has to offer. One Voice has arrived to bring a new standard of voiceover conference. 107 available	 Weekend Conference Pass £299.00 Full conference access: all talks, panels, workshops, Thames boat party, socials, expo & lunch included. 107 available	 (GFTB Members) Weekend Conference Pass £299.00 £279.00 Full conference access: all talks, panels, workshops, Thames boat party, socials, expo & lunch included. Out of stock! Bundle Deal: Weekend Conference Pass & One Voice Awards Ticket £328.00 The complete One Voice experience: all conference talks, panels, workshops, Thames boat party, socials, expo & lunch included, along with the Saturday One Voice Awards night complete with drinks reception, 3 course dinner and an awards ceremony hosted by industry legend Peter Dickson, celebrating the best VO talent across 31 categories. Out of stock! Bundle Deal: Friday Conference Pass & One Voice Awards Ticket £268.00 Friday conference access: Friday talks, panels, workshops, Thames boat Party, expo & lunch (+ Thursday conference access included free!) along with the Saturday One Voice Awards night complete with drinks reception, 3 course dinner and an awards ceremony hosted by industry legend Peter Dickson, celebrating the best VO talent across 31 categories. Out of stock! Bundle Deal: Saturday Conference Pass & One Voice Awards Ticket £268.00 Saturday conference access: Saturday talks, panels, workshops, Saturday night social, expo & lunch (+ Sunday conference access included free!) along with the Saturday One Voice Awards night complete with drinks reception, 3 course dinner and an awards ceremony hosted by industry legend Peter Dickson, celebrating the best VO talent across 31 categories.